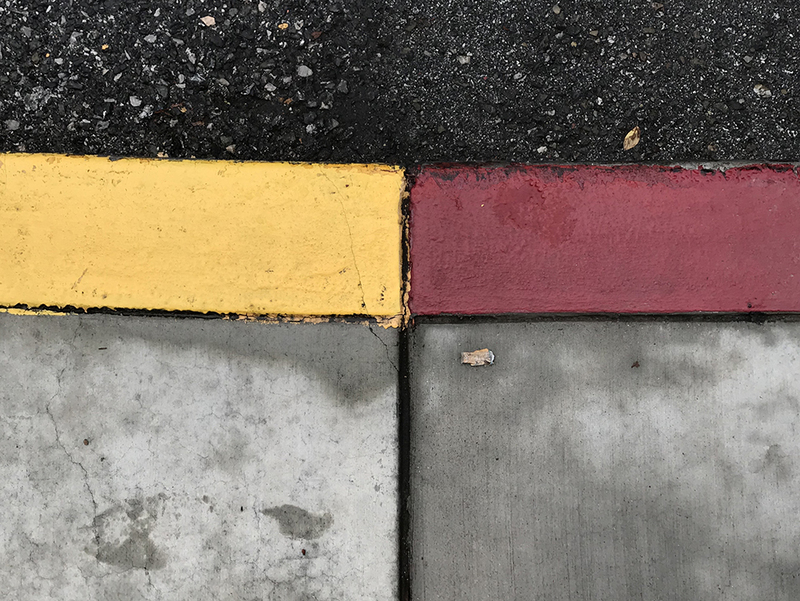 This entry was posted in Personal Stories and tagged art, artistic process, creativity, curb, imagination, parking lot, photography, soft day, street photography, visual arts. Bookmark the permalink. Love the mottled gray and the two little leaves (I think) that break it up and make the whole thing focus. This color combo really appeals to me. Thank you, Claudia. Nice observation. I was lucky for the dampness. It intensifies the colors.